The Vision: To ensure that any public school student wanting to educationally enhance their natural gifting in the performing arts will not be hindered from doing so by the lack of resources. The Mission: To provide scholarships and grants to assist in the educational advancement of students within the public school system who display extraordinary natural abilities and acquired proficiency in music, dance, theatre arts and the recording arts and sciences. Skip Scarborough (1944-2003) began his writing career in the 70’s when he along with two other writers penned the hit song Love Or Let Me Be Lonely for American vocal group, The Friends of Distinction. He also wrote Earth Wind And Fire’s You Can’t Hide Love and Love’s Holiday, LTD’s, Love Ballad, and The Emotion’s Don’t Ask My Neighbors. 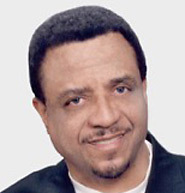 In 1977 Skip, along with Bill Withers, wrote the hit song Lovely Day. It has been recorded by many artists including Kirk Franklin, Luther Vandross, Diana Ross, Maroon 5, LL Cool J, R. Kelly, Robert Glasper Experiment, and alt-J. It has also been featured on the megahit soundtrack The Bodyguard and the soundtrack for the film 127 Hours. Skip wrote the song, Love Changes, originally recorded by Mother’s Finest and later by Kashiff and Meli'sa Morgan and also Jamie Fox and Mary J Blige. Love Changes was adapted into Feel The Funk, and featured in the movie soundtrack, Dangerous Minds. In the 1980’s Skip began writing gospel music and penned along with Terry McFadden, They Say, the powerful duet that earned Grammy Awards for singers Deniece Williams and Sandi Patti. In 1989, Skip won the Grammy for Best R&B Song, Giving You The Best That I Got. In the same year he was nominated for a Golden Globe for the title song to the hit movie Twins. In addition to being a prolific songwriter, Skip was an equally talented producer. He produced four consecutive gold albums on the band, Con Funk Shun. He then went on to produce best selling albums for Mother’s Finest, Patti Labelle, Phyllis Hyman, Blue Magic, Chuck Cissell, Rockie Robbins and Alton McClain & Destiny. The Scarborough Foundation is dedicated to the memory of this consummate composer author. His contribution to the music industry is undeniable and his musical legacy continues to lift our spirits. Alton McClain Scarborough has been singing professionally for over 40 years. After moving to Los Angeles in 1977, she met her first producer, signed a recording contract as Alton McClain & Destiny, and released the top 40 hit “It Must Be Love”. She has toured nationally and internationally with Teddy Pendergrass, Frankie Beverly & Maze, Chic, Peobo Bryson, The Gap Band as well as many others. While touring in Japan, she heard the call to sing Gospel. She then recorded the CDs God’s Woman and Renaissance. 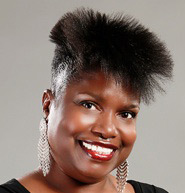 She is currently working on a third Gospel album as well as a cover album of Skip Scarborough's music. As a seventh grader, Alton remembers wanting to learn to play the violin in the school band but her family not being able to afford to rent one. She purposed then that one day she would have a place where a student would not be hindered from renting an instrument because of the lack of funds. The Scarborough Foundation is Alton’s youthful vision coming into being.